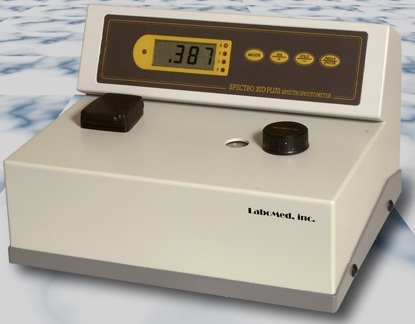 Spectro 20D Plus RS-232C is a traditional analytical device used in small and educational laboratories. This spectrophotometer delivers enhanced ease-of-use, precision and accuracy resulting in time and cost savings, as well as unprecedented confidence in test results. Spectro 20D Plus RS-232C has spectral bandwidth of 6.0 nm. 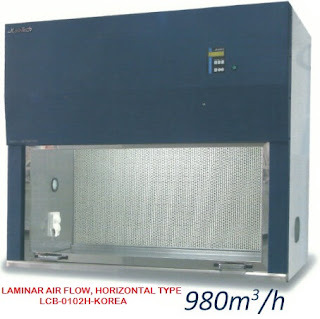 This instrument has a single cell holder for test tubes and two adapters for 10 x 10 mm cells. Spectro 20D Plus RS-232C is lightweight and compact with a continuous wavelength from 320 to 1000nm. Equipped with a microprocessor, this instrument is ideal for small laboratories and educational institutions. Spectro 20D Plus RS-232C offers ease of use and reliability which can be used in various applications. Spectro 20D Plus RS-232C can be used extensively for qualitative and quantitative analysis. Spectro 20D Plus RS-232C is a versatile digital spectrophotometer with a built-in RS-232C port permits the instrument to be linked to a computer and a printer to display the photometric and spectral data on the PC monitor. This interface provides easy communication between the spectrophotometer and the Window based PC. Spectro 20D Plus RS-232C utilizes soft keys for user-friendliness; with buttons to access settings such as absorption, transmission, concentration and factor, adjusting 0A and 100%T. Spectro 20D Plus RS-232C is able to send data to the computer or print directly from the Spectro to an external printer. ISO 9001-2013, has CE Conformity and is FDA Licensed. 2. Large Digital LCD Display. 3. Auto transmission, absorption, concentration and factor. 5. It can use square or round cells. 6. Interface RS232 to link to a computer. 7. Wide continuous wavelength range. 8. Built in stray light filter. 9. 1200 /mm. grating mirror. 10. Computer System is optional (NOT INCLUDED). 11. Can use 13mm. test tube. 2. 2 optical glass cells 10x10 mm. 4. 1 Zero absorption cell.